**NOTE** I borrowed much of this from our Chi Alpha mentor Glen Davis. A few of the links take you to other articles on his blog. Assemblies of God missionaries are not allowed to begin their mission until they have assembled a team of churches and individuals willing to fund their ministry. This often confuses people, so I thought I’d answer what I perceive to be the common questions. Can You Just Give Me a Quick Explanation? There is a consistent principle taught in the Scriptures: ministers should be paid by the people of God. In this regard, there are two broad categories of ministers: pastors, who are paid by the local congregations they serve, and missionaries, who are paid by others than the ones they are ministering to. 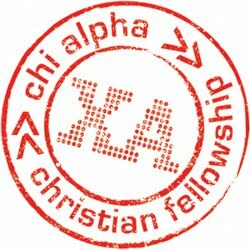 Chi Alpha campus workers are missionaries. The reason for this is very simple: college students don’t have any money! In addition, the college scene in American is as pagan as any place on earth, so there are few who would be willing to pay Christian workers even if they did have the resources to do so. For this reason, then, Chi Alpha campus workers are required to build a support team to aid them in their ministry. Part of that support is prayer, part of it is emotional support, and part of it is financial support. Yes! For more detail, read our essay on The Biblical Basis for Support-Raising. Why doesn’t the church pay you? The church is paying us. The church is not a building; the church is people! Ha, ha. So why doesn’t your denomination pay you a salary? If the denomination salaries missionaries, the money has to come from somewhere–and that somewhere is the churches. Effectively, it becomes a tax on churches. Historically, denominations that tax churches this way have very few missionaries–nobody likes to pay taxes, not even churches. Raising support by contacting friends and family is a far more effective strategy. Plus, it’s the Biblical method! It’s a scalable system. Every new missionary is required to go and generate the funds necessary for their own ministry. No matter how many missionaries we have, we can always have more because there’s no fixed allotment that all the missionaries have to compete for scraps of. Raising support requires that a minster build a network of relationships which keep him accountable and motivate him to work diligently. If you know that your best friend is paying part of your salary, you’re much less inclined to goof off. Missionaries beget missionaries! Most missionaries become missionaries through contact with another missionary. Support-raising forces missionaries to develop relationships that ultimately result in the production of new missionaries. Why do you have to raise your full budget first? Because the Assemblies of God wants long-term successes, not one-shot wonders. If missionaries reach their fields before they raise their full support, they are much more likely to fail their task. They become consumed with their work, and they eventually reach a point where they must either quit, get a part-time job, or live in unhealthy conditions. None of these things is conducive to long-term ministry. By forcing missionaries to raise their budget in full, the A/G contributes greatly to their longevity in ministry. By contributing to longevity they contribute to effectiveness. Longevity aside, insufficient funding has immediate implications. Without a full budget our ability to minister is literally compromised. Our missionary budget is not just our salary! It’s actually the full organizational budget for our ministry. Out of that budget, a certain amount goes to our salary and the rest goes toward work expenses: without those funds ministry opportunities have to be passed up. Like everything else, ministry requires money. We are accountable to Assemblies of God US Missions. All funds are routed through them in order to provide financial oversight for the missionaries. How do I begin supporting your ministry? We felt a call into ministry as young teenagers before we even knew each other, eager and ready to be used by God. We had no idea that our call would lead us to fall inlove during our college years, help plant a church, work as youth pastor, worship leader, children's pastor and associate pastor at three different churches while raising three children. Recently our calling has shifted from the church to the mission field. We are excited to share about our new ministry with ChiAlpha. We know that our journey in serving the Lord has only just begun!